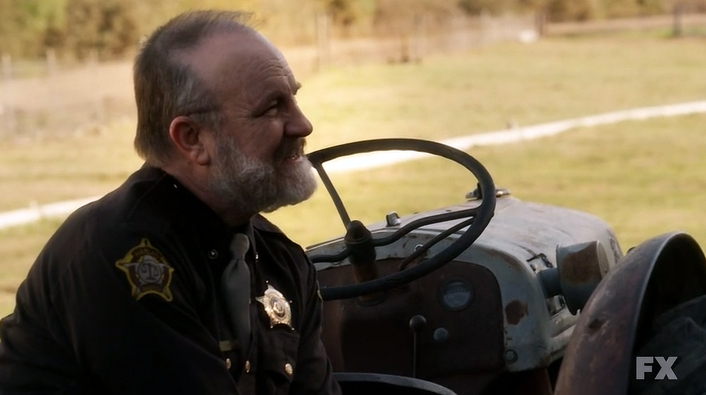 Sheriff Shelby Parlow (Jim Beaver), now revealed as Drew Thompson, is making a run for the border with Ellen May (Abby Miller) in tow. Raylan (Timothy Olyphant) manages to block his access to his plane and to his escape through an unmarked pass. With plan A and B off the books, Drew Thompson decides to go with Ellen May’s plan. 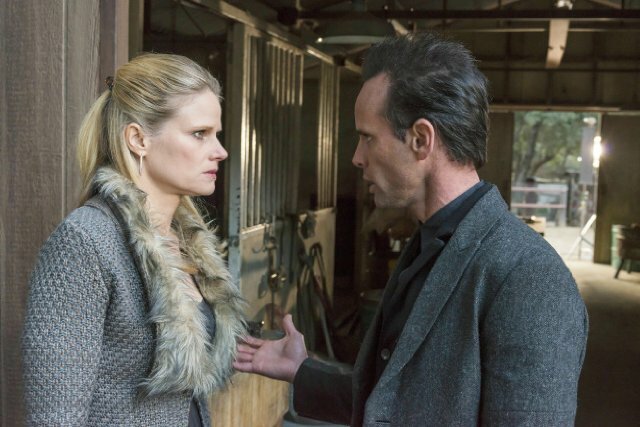 She convinces Thompson to hide out at Limehouse’s Holler, but Limehouse (Mykelti Williamson) doesn’t like Sheriff Shelby, so he arranges to sell the pair to Ava (Joelle Carter) and Boyd (Walton Goggins) for a cool $300,000 each. Boyd’s right hand man, Johnny (David Meunier), who is eager to betray Boyd and take control of the rackets himself, lets local mobster Wynn Duffy (Jere Burns) know that Sheriff Shelby is Drew Thompson. He’s ordered to find Drew first. 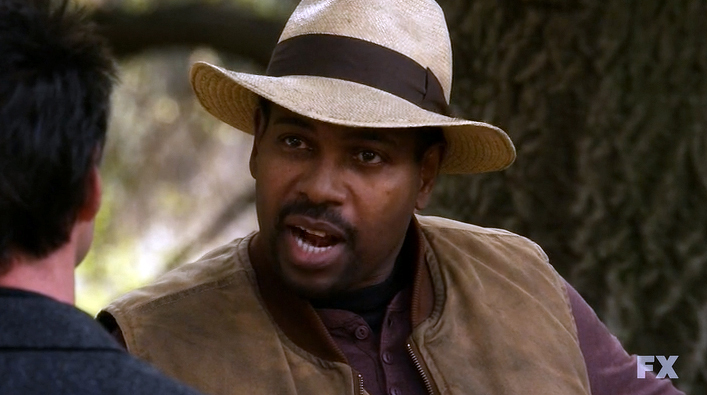 Instead he gives it all up to Raylan, after confessing to his deep resentment of Boyd. In truth, Johnny just isn’t smart enough to be in charge. Not having enough cash on hand to buy both Ellen May (who can link Ava to a murder) and Drew Thompson, Boyd arranges to sell Drew to mobster Nick Augustine (Mike O’Malley) for a small profit and a major part of the heroin trade. He can only afford one of them, and after a discussion with Ava, chooses Drew. This infuriates Ellen May, who doesn’t want the man who has been so kind to her to die. It all comes to a head as Shelby is purchased by Boyd and brought to a field where a helicopter swoops in to retrieve him to a long, slow, torturous death. Thompson pleads with Colt (Ron Eldard ) to shoot him, but Colt laughs it off and leaves the old man to his fate. 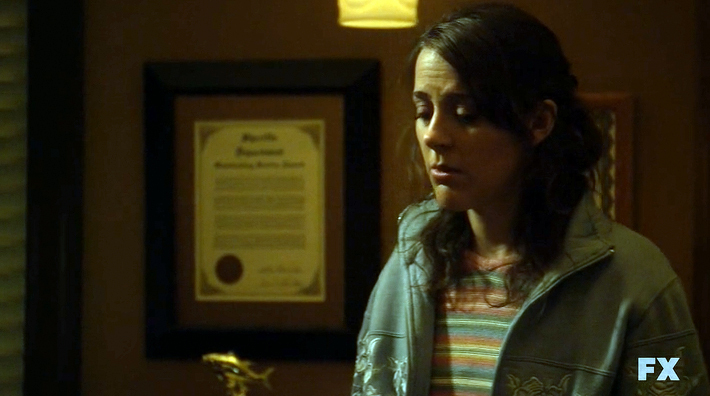 Raylan and the marshals arrive just in time, and they save Thompson. As word spreads, Boyd realizes that he’s screwed: with Drew in the wind, the mob is going to come down on him hard. He tells Ava that they have to run if they want to live. Wynn Duffy, meanwhile, makes the same calculation. But that might be premature. The marshals still have to get Drew Thompson out of Harlan County, and there are a whole lot of criminals who don’t want that to happen. Next episode promises to be action packed.